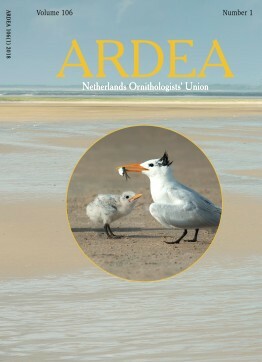 Ardea is the scientific journal of the Netherlands Ornithologists' Union, and is published since 1912. The journal welcomes manuscripts reporting significant new findings in ornithology, in particular those covering the ecology, life history, and evolution of birds, and including sound descriptive work. Ardea publishes Original research papers, Short notes and Book reviews. In addition to the regular three issues per year, Ardea publishes specials that contain conference or workshop proceedings (produced on request). Manuscripts are submitted via Scholastica (see [instructions for authors]). Time between submission of a manuscript and print of the final paper may be as short as one months but usually takes longer depending on time requirements of reviewing or revising the manuscript.